The version of "America's Business Channel" spiced with a taste of Asia is reporting Tata's close to finalizing a deal with Ford for Jaguar and Land Rover we've been reporting on for what seems like forever. A Tata Group spokesman said discussions were still going on and the company had no guidance to give reporters on the deal, but a variety of sources are now claiming signatures could be put on paper as early as tomorrow on a deal we're hearing to be less than $2.65 billion. 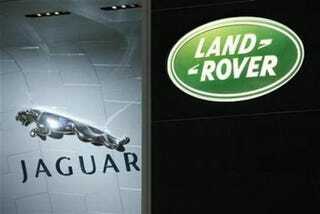 Ratan Tata, the founder and CEO of Tata Motors, is reportedly so excited, he's tried to shake a set of Jaguars. Hmm, that isn't quite as funny.